Tonight at a family Super Bowl party was the first time that all of the immediate Balhoff cousins have been together since the twins were born. 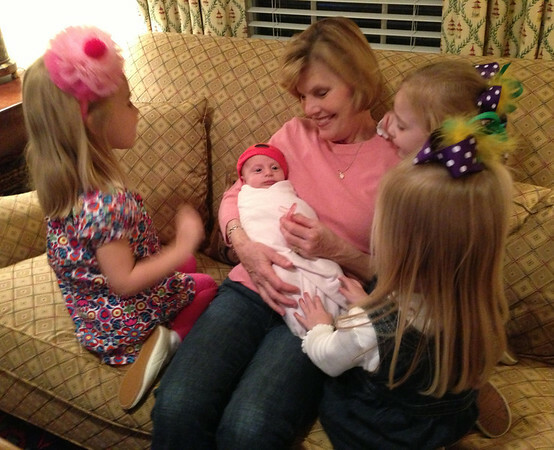 The girls were very interested in the twins… especially in Claire. So the girls were happy to sit together for a few photos. Each one wanted a chance to hold one of the babies. 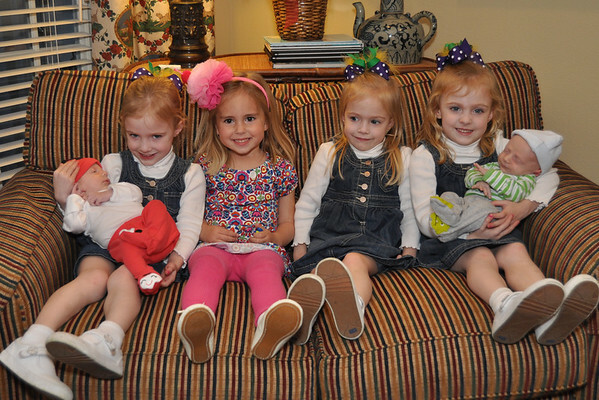 These precious cousins were really sweet with the twins! We also managed (barely) to get a pic of the eight cousins together. 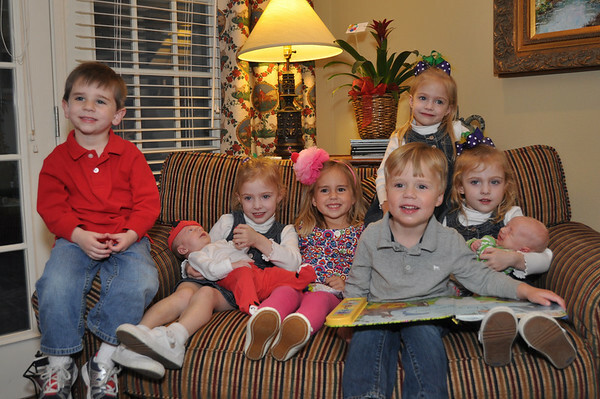 All of the grandkids… ages 5, 4, 3, and newborn… including triplets and twins! This entry was posted in family and tagged cousins, twins. Bookmark the permalink. I sure hope Bev and Don get an enlarged picture of the 8 babies !!!!!! !